The Mulberry Bush Montessori Balfron 10k is celebrating its tenth anniversary this weekend and Central AC veteran runner and athletics coach David Eckersley has some final words of wisdom for those running the race on Sunday. With just a few days to go before the Mulberry Bush Montessori Balfron 10k I hope your training and preparation has gone as well as you hoped. It is very rare to have a perfect build-up to a race so don’t worry or stress over the negatives and instead focus on the positive. One of the great aspects about a 10k is that a novice can be on the start line with an elite runner. 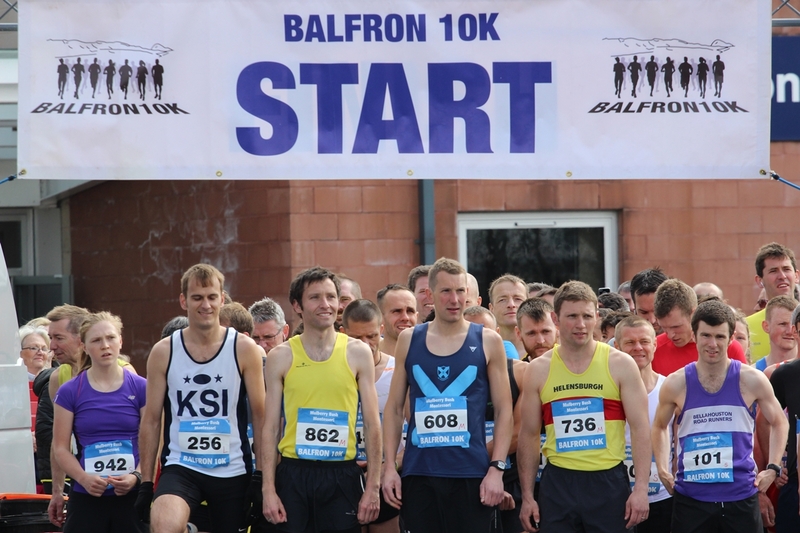 No matter what their level of fitness every runner can feel a part of a great event such as the one in Balfron and will all have their moment of joy/ relief as the finish line is crossed. I tend to have three aims or goals when I run a race such as a 10k. My first is to aim high and for my best hope of placing or time. Secondly be realistic about what you can do, there’s no point in aiming for a top placing if you’ve had a recent injury or training setback, and thirdly decide what you’re happy with on the day taking into consideration your general wellbeing and fitness, and the type of course you will be running. As I stressed last week, turn up as early as possible. Give yourself plenty of time to park, get your number, check the course and get a good warm-up. At these kind of races I plan to arrive two hours before meaning there is no panic or unnecessary stresses to deal with. Once the gun goes start off steady, keeping your pace as even as possible. It is very tempting to race off hard at the start but you can pay for this in the later stages of the event. Get in your own running zone as soon as possible, ignoring the elite runners who will be racing ahead. After a gradual start try to pick up the pace up in the second half of the race but bear in mind that the second half of Balfron’s race is gradually uphill. Remember to look around you and enjoy some of the fantastic scenery along the course. The Balfron race is a friendly affair and often runners will be found chatting to each other en route and encouraging each other on. Certainly the marshals and supporters will be cheering loudly as the hundreds of runners near the finish. I wish you the best of luck with your race and I do hope some of you will seek me out and tell me how you got on afterwards. I also hope your efforts over the past 12 weeks have inspired you to keep training and maybe are the beginnings of a long love affair with running. This entry was posted in David's Blog, press. Bookmark the permalink.